Capacitive displacement sensors are designed for measurement tasks that require extremely high precision. 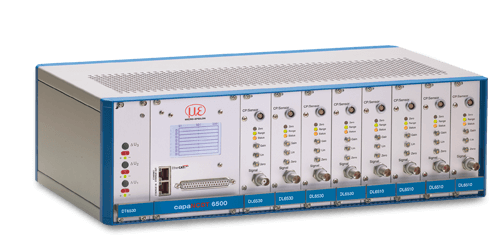 The capaNCDT 6500 capacitive multi-channel system is ideally suited to reliable measurements down to sub-nanometre resolution. The controller offers a maximum response rate of 7.8kHz (digital, with up to four channels) or a frequency response of 8.5kHz. 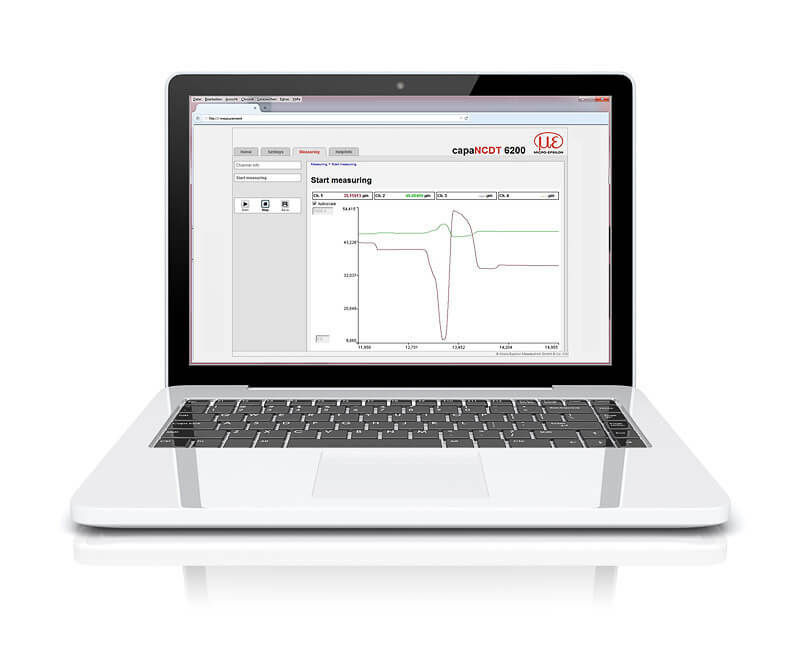 As well as an analog output, an EtherCAT(R) interface is also available. EtherCAT enables accurate data transmission in real time, with high speed integration into the existing measurement environment and synchronization of two systems. Set up and configuration of the capaNCDT 6500 system are carried out easily using a web browser. Due to a user-friendly web interface, the entire configuration process of controller and sensors is carried out without using any additional software. The web interface can be accessed via Ethernet and provides set up and configuration options for filters, arithmetic links and other useful parameters such as triggering, measurement value storage and linearization. The capacitive DT6530 controller offers maximum resolution and signal stability for capacitive displacement measurement. The controller can be operated with up to 8 channels and is not only suitable for electrically conductive objects, but also for insulators. As well as analog outputs, the controller is also equipped with an Ethernet digital interface. The DT6530 controller is compatible with all sensors and cables of the capaNCDT series.